Jed Kurzban will make sure that if you are injured by the negligence of a medical professional, he will get you the compensation you deserve. Medical malpractice occurs when the provider’s carelessness or negligence causes the patient to sustain injury or damages. Keep in mind, however, that an unfavorable outcome is not necessarily considered medical malpractice. For example, if you went in for plastic surgery and because of negligence part of your body became paralyzed, that would be a strong case for medical malpractice, and you should retain an attorney. But, if you went in for plastic surgery and decided later on that it doesn’t look as you hoped – and there is no physical damage to you – that is just an unfavorable result, no grounds for a lawsuit. If you believe that either yourself or a loved one are the victim of medical malpractice, you need to contact an attorney who is experienced in the matter. The attorney will have to interview the patient, family members, and friends, as well as secure vital documentation. Once all of this has been done, the attorney will then determine if there is a strong case for a lawsuit. Different states have different deadlines and procedures for filing such a lawsuit. Find an attorney where you are who is knowledgeable of these deadlines and procedures and let them guide you through the process. This endeavor is extremely time-consuming and tedious, so you don’t want to miss any opportunities to build a successful case. Dennis Quaid’s wife Kimberly gave birth to twin infants in 2007. The infants both developed staph infection and were treated with Heparin – an anticoagulant. However, they were given adult doses which were 1,000 times more the doses they should have gotten. The hospital tried to cover up the error when the Quaids asked about their sons. Once they found out, the hospital settled with the Quaids for $750,000. Thankfully, both children fully recovered with no permanent damage done to them. In that same year, surgeons in Rhode Island on three separate occasions performed brain surgery on the wrong side of their patients’ brains. In two cases, they were able to correct their mistake, but in the third case, the patient died. The surgeon had his license suspended for two months before returning to work. 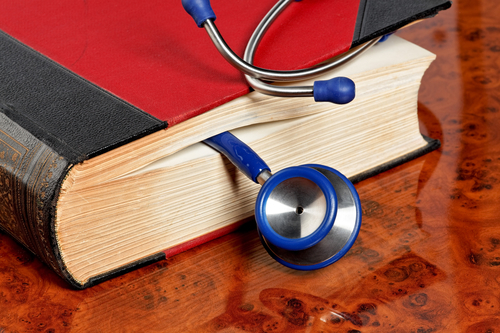 Unfortunately, medical malpractice attorneys are a must. Everyone make mistakes, but when your mistake causes temporary or permanent damage or even death, someone has to be held accountable for it. Jed Kurzban will make sure that if you are injured by the negligence of a medical professional, he will get you the compensation you deserve. Give him a call if you feel you have suffered from medical malpractice, especially if it has caused the death of a loved one. No other attorney has the experience like he does. With his vast knowledge of the law and countless hours in court, he will do the best job for you and your peace of mind. Give him a call today. Time is of the essence.